Ken Iverson revolutionized the steel industry in America, achieved outstanding financial results and pioneered unorthodox management systems empowering employees. Junior Achievement Born on September 18, 1925, in Downers Grove, Illinois, F. Kenneth Iverson would become one of America's most admired CEOs. In 1943, he joined the U.S. Navy while studying aeronautical engineering at Cornell University. He graduated from Cornell in 1946 and was released from service. He earned a master's degree in mechanical engineering from Purdue University in 1947. Ken joined International HarvesterCompany as a research physicist for five years. In 1953, he joined the Illium Corporation as chief engineer. Later, he took a temporary job with Indiana Steel Products to establish a spectographic laboratory. He then joined Cannon Muskegon as chief metallurgist and eventually, sales manager. In 1960, Coast Metals Company hired him as their executive vice president. In 1961, the Nuclear Corporation of America (a conglomerate successor of the original REO Motor Car Company) made an unsuccessful bid to takeover the Coast Metals Company. Nuclear Corporation of America hired Iverson as a part-time consultant to find acquisition candidates. He recommended acquiring Vulcraft, a South Carolina company manufacturing steel joists and steel decks. the Nuclear Corporation made the acquisition and hired Iverson as vice president to run that subsidiary in 1962. Between 1962 and 1965, Vulcraft tripled sales and profits, while the rest of the company was headed toward bankruptcy. Iverson was named group vice president overseeing the Vulcraft Division. In 1965, Nuclear Corporation of America Controller Sam Siegel told the board that the only way to save the company was to name Iverson as president, while Siegel would take over as treasurer. 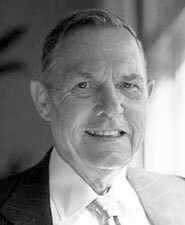 Ken Iverson was named president in 1965. The company had no steel mills and $20 in total sales. Iverson slashed the headquarters staff from 12 to 2 and moved it from Phoenix, AZ to Charlotte, NC. From 1965 to 1996 when Iverson relinquished the presidency, Nucor Corporation (renamed in 1972) grew at a compound annual rate of 17%. Sales grew to $3.3 billion annually. Nucor was the second largest steel manufacturer in America at that time. In 1991, Iverson received the National Medal of Technology. Ken Iverson retired as chairman in 1998. He was married to Martha and they had two children.